When I was beginning as a blogger, I wanted to make friends in my niche but had no idea how to start. Friends do come and go in my life, and I have lost a lot of long-time buddies when I retired from the corporate world. How I miss the company of good friends supporting one another! It is fortunate that I came across blogger groups and got a chance to build meaningful relationships with certain like-minded people, who makes blogging a great way to help others all together. I was surprised to even form friendships with a few good pals who inspire, encourage, and raise me up without asking in return. 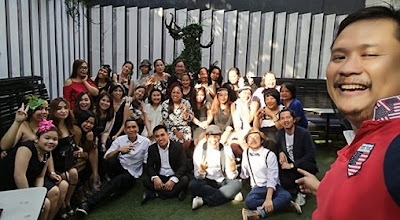 I met some of these individuals at United Bloggers Philippines (UBP), which I am a member of. The UBP Thanksgiving Party was celebrated at Romulo Cafe this week. It was a great time to celebrate life and be thankful for a year of friendships and collaborations. Blogging has the power to educate, inspire, and bring change to the unkind world. It can mobilize groups of people to take action Blogging allows me to gain a wide audience of people and gain influence. It is powerful medium of self-expression for me and for others. These and more makes blogging so powerful and beneficial to the majority. 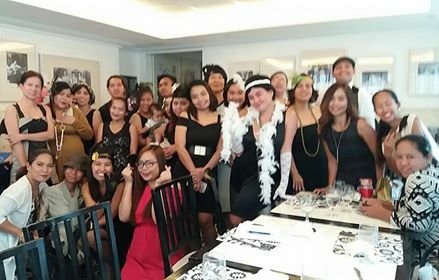 For this thanksgiving party, UBP founder Adae Ang, has chosen the Great Gatsby show as theme. It was fun to get into a costume, more so if all are aiming for the best in costume award! 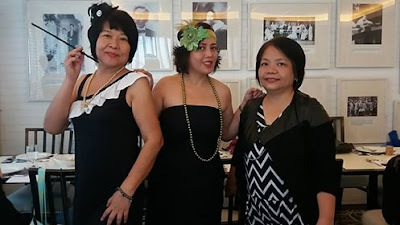 The women had their strings of faux pearls perfectly paired with a feathered headband, fake fur wraps plus elbow-length gloves which added drama to their bejewelled 1920s party outfits. Other females represented the decadence of the roaring twenties in their extraordinary downtown doll costumes. The gents donned 1920s suits for the party. 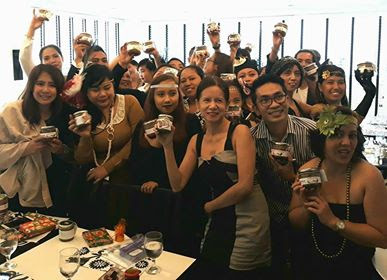 In between delicious bites of Filipino food prepared for us by Cafe Romulo, were games and raffles prizes sponsored by Krispy Garlik by Adae, Lola Delings Traditions, Shakedown Street Cafe, Vintel Med Enterprises / PhilMedica, Allianz PNB, Herbalife PH, EggShell, and Novulift . I am grateful for 2017 and I look forward to a wonderful 2018 with United Bloggers Philippines (UBP)!